Terry Blount has over 30 years of experience in sports reporting and brings his perspective to Sports Saturday on 950 KJR. 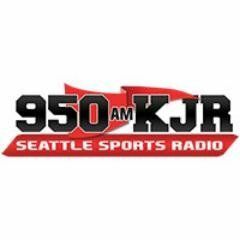 Jason Puckett and Cliff Avril host a show on Sports Radio 950 KJR in Seattle every weekday from 10am to 1pm. NW Wild Country provides the latest, best, on-the-water and in-the-field info LIVE every Saturday from 6 to 8 a.m. on Sports Radio 950 KJR, Seattle! Chuck, Buck and Slick take their One Last Thing to the next level, with the ONE LAST one last thing. New episodes available every Thursday after the show. Michael-Shawn Dugar, Seahawks reporter for The Athletic and broadcast journalist Christopher Kidd host the Seahawks Man 2 Man podcast, an all-access look at Seattle's premiere sports franchise. Sounders Weekly covers everything Seattle Sounders FC each Tuesday from 7-8 p.m. on Sports Radio 950 KJR featuring match analysis and preview, the latest from Head Coach Brian Schmetzer, breaking news regarding the club, and more from Jackson Felts, Pete Fewing, Wade Webber, Danny Jackson, and others. The Barbershop features Marcus Trufant, who retired from the Seattle Seahawks after 10 years and is a WSU Cougar and Hall of Fame inductee, and Terry 'T-Holla' Hollimon, a UW Husky. Full Hours and Interviews from the The Ian Furness show, which airs every day from 1pm-3pm on 950 KJR in Seattle. Varsity Football Live is a comprehensive 90 minute breakdown of everything going on in high school football in the state of Washington.